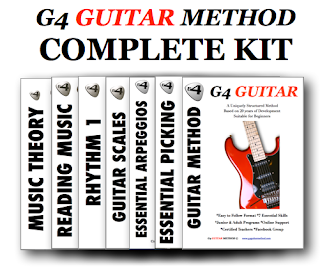 Guitar Blog: How do you teach a young child to play guitar? One person asked how do you teach a young child to play like this and here is my answer. This boy is outstanding but its obviously the result of daily practice and parental support. 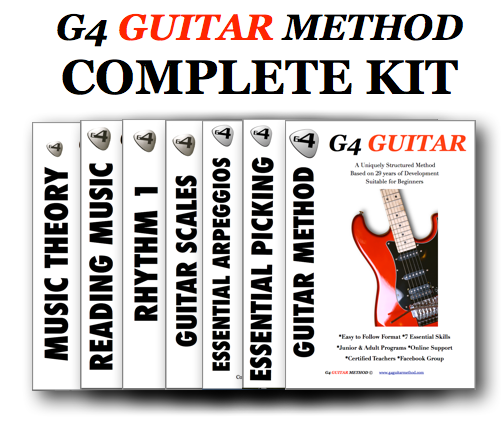 I have taught many young children guitar using the g4guitarmethod including my own daughter who is now 4yo has been learning since 3yo. The secret is to sit with them everyday learning just a few notes each time. Young children are very fast learners. In fact they learn much faster than adults. Its only their ability to concentrate, coordination and muscle development that hold them back. Start early and plant the seeds. *How can I get my child to practice guitar without force?